Amazon promotional page builder LandingCube has a new special offer for Web Retailer members. LandingCube creates customizable landing pages for Amazon listings. The landing pages provide promo codes in exchange for the buyer's email address, to help convert external traffic into Amazon sales. They are offering a 20% discount on all annual plans, after the 21-day free trial. Visit the LandingCube directory listing to get the voucher code. Amazon seller analytics system ManageByStats has added an option allowing users to synchronize customer data directly with Facebook. ManageByStats has long offered the option to create Facebook-formatted files of customer data for upload, but have now added the option to set up automatic synchronization with Facebook. The synchronization option allows users to specify and create custom audiences on Facebook, and set rules so that new customers are added automatically to the specified audience. "Facebook advertising is one of the new industry standards," says Philip Jepsen, CEO of ManageByStats, "if not the standard. We've been helping our users generate customer lists for some time now, but it's been a multi-step process. You create and generate the list of your customers, then upload that list to Facebook. It's easy, yes, but at the rate things are moving today our users were in need of something that did the whole process for them, automatically. We now have that option." Full Amazon customer information is available in ManageByStats, including order history and other data that can be used to create targeted lists for use on Facebook. ManageByStats is a suite of tools for Amazon sellers, with a robust set of customer management tools, in addition to full sales info and reporting, graphing and visualization of trends, inventory management and alerts, keywords and Amazon sponsored ads management, automated emails and more. Multichannel ecommerce management tool plentymarkets has launched three free plugins for eBay sellers using its platform. Marketing, helping increase sales by setting up attractive sales promotions and discounts. Analytics, helping sellers analyze their listings to measure the effectiveness of new marketing strategies. Optimization, helping boost search ranking by checking listings for SEO best practices. The new eBay plugins are all free and have been developed in-house by plentymarkets. Amazon analytics tool ManageByStats has introduced new tiered pricing plans for its phone and email "appends" services. ManageByStats' Appends service finds real emails and phone numbers for an Amazon seller's customers and inserts them into the customer records. "This time of year we see a surge in subscription for our appends services," says CEO of ManageByStats, Philip Jepsen. "Our subscription plans provide options for users at various levels. The plans are designed to accommodate Amazon sellers selling on Amazon at any volume." The tiered plans include price reductions at certain volumes, and those reductions are also applied if a user chooses to do a full append. A full append is run against all customers, and finds real emails and/or phone numbers for the entire customer database. Subscription plans run daily throughout each month, getting emails and/or phone numbers for new customers. ManageByStats customers can choose to subscribe for either email appends, phone appends, or both. "We've been offering email appends for several years," says Mr. Jepsen. "Last year, when Amazon stopped providing customer phone numbers, we added the option for phone appends. Since then our success rate in finding phone numbers has steadily improved." Amazon seller analytics system ManageByStats has announced a new version of the software's keyword tool. The ManageByStats Keyword tool monitors the ranking of selected keywords for specified products. Some of the latest features include keyword search volume, multiple sort and display options, customizable color coding, parent-child ASIN associations, easily definable multiple markets and more. There is now also a standalone option, for users not using the other tools in ManageByStats. Both the standalone tool and the keyword tool incorporated into ManageByStats have the same set of features and options. Philip Jepsen, CEO of ManageByStats, said, "Since the initial release we've rolled out a number of significant updates. With all the features we had on the line-up we knew going in there would be a sort of second release. The first step was huge, bringing the entire tool within our ManageByStats software so that it functions alongside other features there. Now we've added more." Amazon Sponsored Products ads management and optimization tool, Ignite, has been profiled on the Web Retailer Blog. The article looks at three key challenges for sellers using Amazon Sponsored Products and explains how sellers handle those challenges right now, and how Ignite helps turn them to your advantage. Ignite can help sellers keyword selection, campaign optimization and reporting. Amazon analytics system ManageByStats has added a new export designed for creating Facebook Custom Audiences from Amazon customer data. ManageByStats has added an option that allows users to create a list formatted specifically for Facebook with one click. The Facebook-formatted list includes "real email" and phone number columns. Real emails and phone numbers are not needed for the file to work with Facebook, but they do increase audience match results. ManageByStats can acquire real emails and phone numbers for sellers using their Appends service. ManageByStats has also added an option in their SellerMail module to send emails either per order, shipment or item. Previously ManageByStats would send emails for every item ordered, which meant buyers would get multiple emails if they bought more than one item in an order. Amazon analytics tool ManageByStats has extended their "Email Appends" service to also find phone numbers for Amazon customers. Until now the service only searched for and added real email addresses to Amazon customer records. ManageByStats users can now choose to have email address, phone numbers or both automatically added to the details of customers who have bought from them via Amazon. ManageByStats have a success rate of around 30% for phone numbers, and up to 55% for email addresses. Amazon analytics system ManageByStats has changed its collection of Amazon customer email addresses from monthly to daily. The ManageByStats "email appends" service used to search for Amazon customer email addresses on the first of each month but will now run every day, adding email addresses for customers who purchased from the seller in the last day. The service uses the customer's first name, last name and postal address to search national databases for matching email addresses. ManageByStats says they can acquire email addresses for 40 - 45% of the records processed. There is an additional fee for the service, and it is only available for the US Amazon market. Amazon does not provide sellers with their customers' real email addresses itself, instead providing an Amazon address which routes messages through the Amazon support system. Marketplace management system Selro Multi Channel has added support for email marketing solution MailChimp. Selro will now automatically create customer data in a MailChimp account up to a specific limit, speeding up the process of sending email campaigns to existing customers. Amazon product launch service iLoveToReview has removed its requirement for consumers to leave a review, following Amazon's recent ban of incentivized reviews. Amazon no longer allows sellers to give a discounted or free product in exchange for a review, to protect the integrity of their review system. iLoveToReview is informing members that they are no longer obligated to leave a review in exchange for a product they receive for free or at a discount, from sellers using the service. An announcement on the iLoveToReview blog reads, "When launching products in any market (online or not), the practice of giving away or discounting products is common and companies will continue to do it. Even without the review component discounted sales and promotions on Amazon will continue to be a key strategy to increase sales velocity, improve ranking and make full-priced sales." Amazon have stated that reviews written prior to the policy change are not being removed unless they are excessive, and don't comply with the prior policy. The latest update for multichannel management tool ChannelAdvisor Marketplaces includes a new tool for creating flash-style eBay sales. The new Deal Planner introduces a new way to help manage short-term promotions for a merchant's own sales on eBay or official eBay Daily Deals. Sales can be created for a specified time window and will adjust the price, quantity, or subtitle for the duration of the deal. When the window ends, the special values for the deal will be removed and the listing reverted to the original values for price, quantity, and subtitle. Order management tool ShipStation has released integrations with email management system MailChimp and ecommerce platform Mozu. ShipStation is MailChimp's first shipping software integration and through the integration, MailChimp will automatically add new customers to a company's email list based on orders coming through ShipStation. MailChimp will receive information from each ShipStation order, including email address, first and last name, last order date, last order amount and the sales channel where the order was placed. "A company's email list is one of its most important and valuable assets," states Robert Gilbreath, ShipStation's Vice President of Marketing. "Our integration with MailChimp allows ShipStation users to easily build their email lists, saving time and making email communication a breeze." Mozu is ShipStation's latest shopping cart partner. Mozu, owned by Volusion, serves larger online retailers. The new integration imports orders from Mozu to ShipStation, so they can be managed and fulfilled across various shipping carriers including USPS, UPS, FedEx, DHL and more. Ecommerce platform Shopify is now integrated with Facebook Messenger so store owners can provide customer support and send other ecommerce communications through Facebook. By integrating with the new Facebook Messenger Platform, Shopify now allows merchants in the US to provide customer support, automatically send order confirmations, shipping updates, push notifications, and more, through Facebook Messenger. "Messaging apps are enabling us to rekindle the conversations we are used to having in person with retail businesses, and recapture some of the lost intimacy that comes with shopping online," said Brandon Chu, Senior Product Manager at Shopify. "Our decision to integrate with Messenger and build commerce bots, is designed to help merchants develop deeper relationships with their customers, and give them an opportunity to reinforce their brand's personality." Shopify has also announced an agreement to acquire privately held company Kit CRM Inc., a virtual marketing assistant that leverages messaging to help businesses market their online stores. Founded in 2013, Kit helps manage small businesses' marketing tasks so that entrepreneurs can focus on other aspects of their business. Kit allows businesses to run targeted ads on Facebook and Instagram, post updates to their Facebook Page, make recommendations based on store activities, and more, all via text messages. Last month, Kit also introduced an API that allows it to interact with other apps in the Shopify App Store. Ecommerce marketing tool CommerceHub DemandStream is now integrated with IBM's WebSphere and Commerce on Cloud ecommerce solutions. Businesses running a store on an IBM ecommerce platform can now receive product attributes, pricing and inventory data in DemandStream. Custom development is no longer required to build, update and maintain product feeds. CommerceHub DemandStream syndicates product data to marketplaces, online advertising channels, social media sites, and comparison shopping engines. It has been validated for IBM Commerce on Cloud and WebSphere Commerce version 7, feature pack 8. Order management tool ShipStation has integrated with social-selling app Spreesy. Spreesy creates shoppable posts for Facebook and Instagram with built-in marketing tools such as discount codes. With ShipStation integration, Spreesy customers can access discounted USPS rates, direct carrier integrations, multi-channel order management, custom packing slips and email templates, and more. "We're excited to partner with ShipStation so that our merchants can get back to building and growing their online businesses," says Spencer Costanzo, Co-Founder of Spreesy. "Order fulfillment and shipping have been major pain points for our merchants, and ShipStation will be the ultimate solution for streamlining Spreesy orders." Amazon product reviews service Snagshout is now officially out of beta testing. The site, which offers discounted products in exchange for reviews, now has more than 30,000 shoppers and nearly 400 unique products available. The site is open to anyone who has an Amazon.com account. Products are usually discounted by 30 to 90 percent, and are sometimes free. Once an item has been "snagged" buyers can't buy another one until their product has been received and reviewed. Amazon product review management tool BQool Review Central has added Excel downloads and new review email notification features. "Review Central is a unique and practical tool for Amazon brand owners," said Peter Kuo, Business Relationship Manager at BQool. "Being able to download product reviews gives company employees an efficient way to present product reports to their managers. It's also great for quality control as you have feedback from your customers right there in front of you. You can organize the spreadsheet however you want instead of having to copy and paste everything either from the BQool interface or from Amazon." The alert feature enables an email to be sent when a product review has been left on Amazon. Kuo explained: "Product managers can quickly spot if a batch of inventory has defects or if a product needs immediate attention when they are able to receive instant alerts and react to them. This gives managers the heads-up for quality management." The email notification feature is available starting from the $50 plan, and the download reviews feature is available starting at the $100 plan. Review Central imports Amazon product reviews, and matches orders with reviews for email communication. Ecommerce management system TradeGecko is adding an email "templates and themes" feature so sellers can add their branding to emails. Merchants will be able to customize the text and design of all emails sent from TradeGecko, which include quotes, sales orders, invoices, shipment notices and purchase orders. Email content has also been updated, and now includes details such as payment status, line items and order notes. Online retail marketing solution Mercent Retail has added a new feature "Structure Assist" to help sellers organize their Google Shopping Campaigns. Mercent's Campaign Structure Assist allows retailers to structure ad campaigns around product SKUs, categories, brands, and merchandising promotions. "Retailers are operating in a highly dynamic and competitive space -- especially during the holiday selling season where for many retailers there is potential to generate half of annual top line revenues," commented Mercent Chairman and CEO Eric Best. "Brands and retailers must get product data structure and quality right first and foremost, in order to profitably optimize retail product and offer visibility through Google Shopping -- now one of the largest online retail channels. With today's announcement, Mercent continues its legacy of providing industry-leading features and technology to grow retailer profits and revenue. Mercent Retail Campaign Structure Assist simplifies critical processes that allow Mercent retail clients to maximize and accelerate their online sales and profits across the most important online channels now during the 2014 holiday selling season." Google Shopping Campaigns were introduced by Google earlier this year, replacing Product Listing Ads (PLAs). Creating large campaigns can be a time-intensive process which Mercent has simplified with the new tool, which creates new campaigns in bulk using a retailer's full product catalog. Mercent is used by over 550 retailers, and supports ad platforms such as Google Shopping Campaigns, Amazon Product Ads and Bing Product Ads; social shopping channels like Pinterest and Houzz; online marketplaces including Amazon, eBay, Sears and Rakuten Marketplace; comparison shopping sites; affiliate networks; and paid search platforms (Google AdWords, Microsoft AdCenter). Facebook shop software provider Easy Social Shop has integrated its system with GoDaddy's Online Store solution. GoDaddy Online Store merchants can now build a Facebook store in one click, and automatically synchronize inventory data. They can then promote products using the Easy Social Shop Facebook advertising feature. "We're excited to partner with GoDaddy, this is a great opportunity for our company to provide value to more online businesses and help them grow as they build their presence." said Nissim Lehyani, CEO and Co-Founder of Easy Social Shop, "Our mission is to make social accessible to online businesses, by simplifying complex tasks and help them achieve growth from social, easily. We were pleased to discover that our approach is aligned with the GoDaddy vision." Easy Social Shop has over 140,000 shops, and is driving an average of 10%-15% sales growth for its users, says the company. Social media ecommerce tool FaabSocial is free forever for new users who join before the end of 2014. The offer has no limits, and includes free support. FaabSocial's paid plans, which will be in effect from 1 Jan 2015, start at £149.99 per month. The free offer is equivalent to the top level paid plan. FaabSocial adds "Buy Now" links to social media status updates allowing immediate purchase, with payment via PayPal. Facebook store creator Easy Social Shop has added support for the Tictail shopping cart. Easy Social Shop is a free tool for creating Facebook stores, with 140,000 users. Tictail currently has 50,000 merchants using its platform. Ecommerce marketing technology provider Lengow has been nominated and shortlisted for three different international ecommerce awards. Retail Systems Online Technology Vendor of the Year in the UK. A Hub Award in France, three of which go to companies in the digital sector each year..
An eAward in Spain for Best Service for Capturing Traffic. Lengow CEO and co-founder Mickael Froger said, "We are absolutely thrilled to be nominated for these awards and that Lengow's services and contribution to ecommerce have been recognised internationally." Marketing software supplier Lengow is providing an opportunity for ecommerce startups to showcase their products at the Lengow Ecommerce Day in London on 6th November. The Startup Spotlight Competition will be held throughout the half-day event on 6th November 2014, allowing three finalists a ten-minute session each to present their business to an audience of over 100 online retailers and ecommerce experts. After all three have presented, one will be chosen to win the Lengow Startup Spotlight Award. Entries are now open, and businesses are asked to explain how their product is innovative and disruptive to ecommerce. An expert panel will then select three finalists to speak at the event. The closing date for entries is 13th October 2014. Multichannel marketing tool Lengow now works with Google's latest Shopping Campaigns API. A new module connects a seller's Lengow account to Google Shopping to distribute their product catalog. The new API allows real-time reporting of any errors from product uploads, which Lengow can automatically correct. Liquidated stock wholesaler GENCO Marketplace has partnered with online marketing tool supplier SnapRetail to provide discounted rates and enhanced support for SnapRetail to its customers. GENCO customers will receive special software pricing, access to free educational resources and one-on-one consultations from SnapRetail. GENCO Marketplace CEO Laurie Barkman said, "GENCO Marketplace believes retailers and online sellers need to be strong digital marketers to be successful in today's ever-changing landscape. We are partnering with SnapRetail to bring a leading marketing system to our customers." 3DSellers' tool to create Facebook stores for eBay sellers, Social Store, has been updated with 3 new design templates each with 5-6 color options. Social Store creates a store on Facebook from eBay listings. The Facebook store is synchronized with eBay, showing inventory in real-time on a Facebook business page. Updates to Social Store also include control panel enhancements, making it easier to set up and maintain the store. Ecommerce marketing system Lengow has been shortlisted for a Retail Systems Award as Online Technology Vendor of the Year. Now in its 9th year, the annual awards event recognises technology excellence and innovation within the retail sector. This year there are over 20 categories of awards and the winners for each will be announced during an evening ceremony on the Thursday 30th October in London. Channel marketing tool Lengow has added support for French shoes and fashion marketplace Spartoo. Lengow users can now feed their product catalogue directly to Spartoo's sites. "We are pleased to offer this new channel to our clients. Spartoo is a vital platform for the shoe market and so it was essential for us to work with this European leader", said Lengow's co-founder Jérémie Peiro. Lengow now supports 68 marketplaces. Spartoo is present in over 20 countries, and has over 14 million visitors per month. Multichannel marketing tool Lengow has celebrated its 5th year in business. The company now has 75 staff, processes over 10 billion products per month for more than 2,800 online retailers, and has over 1,200 partners around the world. Facebook store management solution StoreYa has a new feature which shows potential customers a pop-up message when they are leaving your site. The "Exit Pop" marketing tool uses a technology that tracks cursor movements to predict when someone is about to leave the site. When that happens, a pop up is shown offering a coupon to encourage them to stay on the site. StoreYa claims the tool provides an average sales boost of 20%. Facebook store creator StoreYa has launched a new marketing tool for its sellers – "Refer-a-Friend" coupons. The new coupons, which work through Facebook, Twitter or email, make it possible to offer a discount to customers in return for referring a friend to your store. StoreYa creates Facebook stores using inventory data from eBay, Amazon, Etsy and a number of popular shopping carts. eBay marketing tool Thank You Emails has added an "emails sent" counter to its user control panel. Sellers using this eBay App can now see how many emails were sent to their buyers. The new feature was added following several user requests. Facebook marketing tool StoreYa has added support for free shopping cart Tictail. Tictail has was launched two years ago and has over 35,000 stores on their platform. Tictail sellers can now use StoreYa to export products to their Facebook store. Facebook marketing tool StoreYa has added support for on-demand printing website Zazzle. Zazzle sellers can now use StoreYa to export products to their Facebook store. Facebook store creator StoreYa has added support for the Spree Commerce shopping cart. Spree Commerce merchants can now use StoreYa to import their store to Facebook in a few minutes. StoreYa features include one-click inventory import, full statistics and dashboards, and different marketing tools to drive traffic to the store. Spree Commerce was founded in 2008 and has more than 45,000 retailers. 3DSellers' store creator for eBay sellers Webstore has been given a new dynamic sidebar feature. The sidebar provides additional customization features such as adding text and social buttons. Ecommerce marketing software supplier Mercent have joined Demandware's technology partner program, LINK. Tom Griffin, SVP of Corporate Development at Demandware, said "The integration of Mercent Retail with Demandware Commerce can further meet the dynamic needs of large retailers operating in today’s highly competitive marketplace. We're pleased to add Mercent to the LINK partner community." Store creator for eBay sellers Webstore has released a tutorial video for new users. The video, Create A Beautiful eBay Storefront with Webstore!, explains how to sign up, create a store template and select featured items. Social media tool Shopseen has launched a new feature which schedules social shares. The Share Scheduler lets sellers promote products or offers on social networks to coincide with specific timezones, rather than straight away. The scheduler feature has a 7-day free trial then is $10 per month. 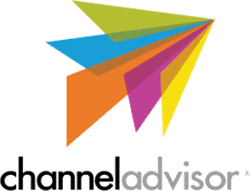 Multichannel management software provider ChannelAdvisor are one of the first suppliers to become a preferred partner for Yahoo! product feeds. "ChannelAdvisor is recognized throughout the industry for creating optimized product feeds that can benefit retail and feed-based search campaigns," said Jackman Cheung, senior manager of the Yahoo Preferred Partner Program. "Yahoo is committed to helping advertisers find the trusted solutions they need to continually improve their campaigns." Channels available through Yahoo! product feeds include Product Ads on the combined Yahoo/Bing search engine network. Automatic off-eBay store creator Webstore has added a number of festive store enhancements. 3DSellers marketing manager Tzipi Schindler said "This is only one out of a series of additions that we are about to introduce to the Webstore app. Our team are constantly working on further developing the app including adding more designs and more marketing features." Sellers can add a santa hat to their logo, falling snow and a header with a holiday greeting. Today we have added Webstore from 3DSellers to the directory. Webstore creates off-eBay storefronts for sellers' eBay items. Webstores are optimized for search engines helping drive traffic from search results to their listings. Ecommerce marketing tool Mercent Retail has added support for eBay Enterprise. Mercent’s Chairman and CEO Eric Best said, "eBay Enterprise is a leading global e-commerce platform serving a world-class portfolio of retailers. Mercent is recognized as the industry leader of online retail marketing solutions and we absolutely welcome the opportunity to drive profitable results for eBay Enterprise clients." eBay Enterprise is eBay's ecommerce solution for large retail businesses, and was previously GSI Commerce. Ecommerce social media promotion tool Shopseen is now available as an app for social management tool Hootsuite. The app shows a retailer's product inventory within the Hootsuite dashboard, so product links and stock levels can easily be added to tweets and updates. Marketing feeds solution Mercent Retail has added support for social network Pinterest's new Product Pins. Mercent can now populate Pinterest with prices, inventory and descriptions, keeping information accurate when consumers share products on Pinterest. Mercent Chairman and CEO, Eric Best, said "Pinterest provides consumers with a great way to share their favorite retail products and offers in the context of their own hobbies and interests. Mercent's data service for Pinterest product pins ensures that retail merchants provide Pinterest users with the most complete and accurate product information, creating a friendly and more relevant shopping experience for Pinterest users." A new product from the makers of SellerExpress has been launched, providing a dynamic repricing solution for Amazon sellers. RepricerExpress allows users to automatically reprice all of their Amazon listings from a single interface. It supports several Amazon market places and integrates directly with users' Amazon accounts. eBay app developer Page Mage is developing a new social media marketing application called Social Beacon. The new free tool will help eBay, Etsy, and Amazon sellers create, grow, and measure their social selling. The company is looking for beta testers, who will get to use Social Beacon before it's available to the general public, in return for providing the company with feedback. To sign up as a beta tester visit socialbeacon.com. Ecommerce data feeds service Mercent Retail has announced a new partnership with price comparison site Shop.com. "We are pleased to partner with SHOP.COM and look forward to accelerating the online success of Mercent retailers participating in this marketplace. SHOP.COM ranks #57 of the fastest growing e-retailers, #28 of retail sites with the highest growth and #14 in the Mass Merchandising category along with e-retailers that include Amazon, Sears and Target", said Mercent Chairman and CEO Eric Best.